In the developed world, almost everything can be bought and sold online, and so it often is. On my most recent visit to the US, a couple of years ago, I asked a good girlfriend to recommend stores that she thought I should visit during my then-quest to buy a new laptop. My friend seemed a little flabbergasted. She couldn’t understand why I would go through all the trouble of shopping for a laptop in person when she felt I could do so more efficiently online. Her reaction surprised me a little bit. The African that I am (or at least was at the time) was used to shopping for things in person and, especially in the case of an expensive purchase, much preferred to physically see the item I was purchasing before I actually paid for it. This experience was my first aperçu into how pervasive shopping online had become in the Western world. Later, during that same trip, I often saw my parents (who were soon to be 60 years old at the time) and brothers do the most mundane things (like buying books) as well as some not-so-mundane things (like buying complex musical instruments) online, seemingly without giving it a second thought. This was a far cry from my reality in Kenya at the time. Although I moved in pretty technologically savvy circles, partaking in e-commerce was not a main stream activity for most people that I knew. Although the reasons for this were many, I am pretty sure one of the main reasons for this was that so few of the people I knew had credit cards (and this was pre-M-pesa days in the case of local e-commerce). Speaking for myself, the lack of a credit card was definitely the reason I never sought to buy anything online or even subscribe to some of the online services that I found interesting. Do you find yourself in the same situation? If so, then I am pleased to tell you that you no longer need to hold yourself back for there now exists a local solution to your problem. I have used Afripay’s Purchase Assistance service several times and can recommend it wholeheartedly! 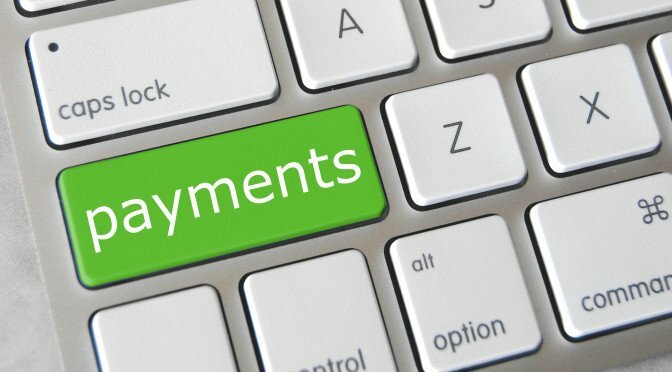 For a little more than the Kenyan shilling equivalent of whatever amount I intend to spend online, I can simply pay a visit to Afripay’s office, tell them what I need to have paid for online, pay them money in Kenyan shillings, and then walk out of their offices with my online payment completed. Although I was a bit apprehensive the first time I visited Afripay (I wasn’t sure how smoothly everything would go), I have since learned to appreciate their reliably friendly and efficient service, which I use whenever I need to make a payment online. According to their brochures and website, Afripay also offers other services aimed at facilitating online shopping. These services include the Afripay Virtual Visa (which was not available the last time I inquired about it) as well as the facilitation of goods shipment to Kenya, for goods purchased from companies that do not deliver to Kenya. Unfortunately, though, I can’t tell you much about these services since I’ve never used them before. If these services are of interest to you, I encourage you to call Afripay or visit their office to find out more. All in all, I have been extremely happy every time I have used Afripay to make online payments. I find their Purchase Assistance service well-priced and easy to use. It never ceases to amaze me just how quickly I can make my online payments during the course of a regular day with the entire process usually taking me no more than 15 minutes. If you are looking for a way to make online payments but do not have a credit card, or need some other assistance in completing the purchase, then check out Afripay, they just might be the solution you need. Once you do, please drop me a line and let me know what you thought of the service. Sounds like an interesting thing especially delivery, I have only managed to do online purchases from Amazon.co.uk and they only deliver books, cd’s and DVDs to .ke. It is increasingly difficult to get the credit card approved without calling the issueing bank before placing the payment otherwise it will be declined. I am amazed that Amazon would actually deliver to Kenya. I didn’t expect them too. I think how Afripay aids with delivery is by giving you an address in the US to which you can have your items sent, after which Afripay handles delivery from that adress to Kenya. As I said, I’ve not used that service before so I can’t say much more about it. But yeah, that would be quite helpful. About having to call the bank before placing a payment, would that be for a credit card issued from a Kenyan bank, or from outside the country? Welcome to ChickAboutTown (although I know I am on your blogroll, this is the first time that you have actually partaken in the discussion here)! Yes, I think Afripay has really done well in bridging that gap! It was my pleasure to share the find with you. Thanks for the heads up, Kirima. I’ll look out for the article. Cool Stuff!! Thanks for the update! It’s my pleasure to share the information. There’ve been many times I’ve wanted to do online purchases but have found myself stuck…this is very useful information …Thanks!